Blue Orange Arts brings you the camp classic that brought Broadway to its knees! Discover the ludicrous mystery deep within the moors of the Hillcrest Family Estate at Mandacrest. Lord Edgar, an Egyptologist, widowed and on his second wife, is not over the passing of his first, Irma Vep. Edgar is consumed by the sudden death of his beloved and the strange events happening around the grounds of the manor. 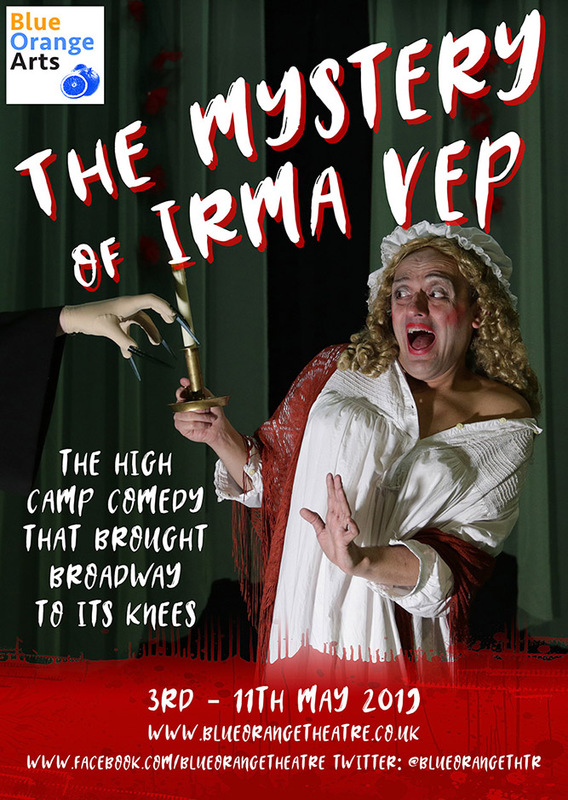 The Mystery of Irma Vep is a gut-busting hilarious farce full of high-camp Victorian melodrama, Gothic romance, classic horror films, and two actors changing roles 35 times. Blue Orange Arts is committed to accessibility of our in-house productions and as such we offer a ‘pay what you can’ performance for all of our shows. ‘Pay what you can’ tickets are available on the door, you can book the performance in advance but only at standard prices. We will always reserve at least 50% of the tickets for purchase on the day.